“I just have to take a deep breath to gain weight in spite of following all the health tips” can win an award as the oft-cited reason for weight gain by many ladies! Although a convenient excuse, the ladies could actually be in on some serious ‘hormonal locha’. Of all the hormonal issues, thyroid problems exert effects on body weight. It is time to sit up and acknowledge that. 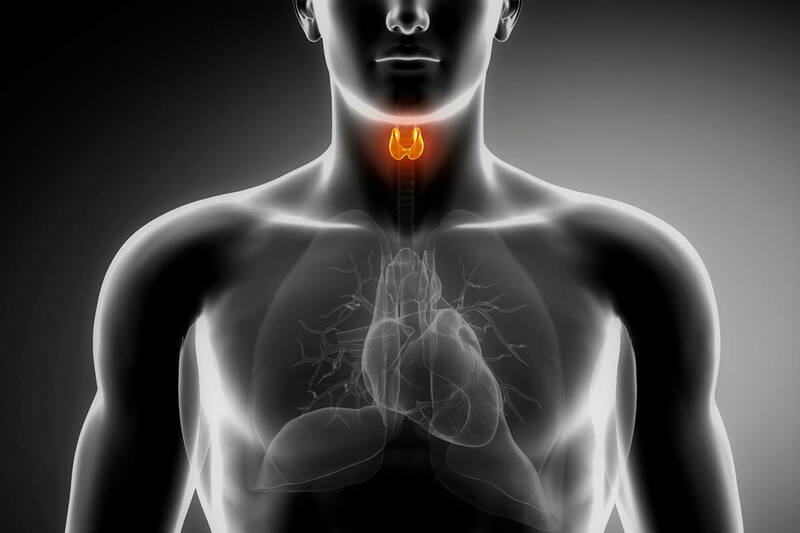 Is the thyroid gland behind your weight issues? Although this may seem straight out of an anatomy book, we still need to know the central character causing so much weight related heartbreaks. The thyroid gland is the largest gland in the endocrine system. It is famously known for its butterfly shape and location in the neck. It produces 3 hormones: Thyroxine (T4), Triiodothyronine (T3) [routinely counted as thyroid hormones] and Calcitonin. The butterfly-shaped gland named thyroid. 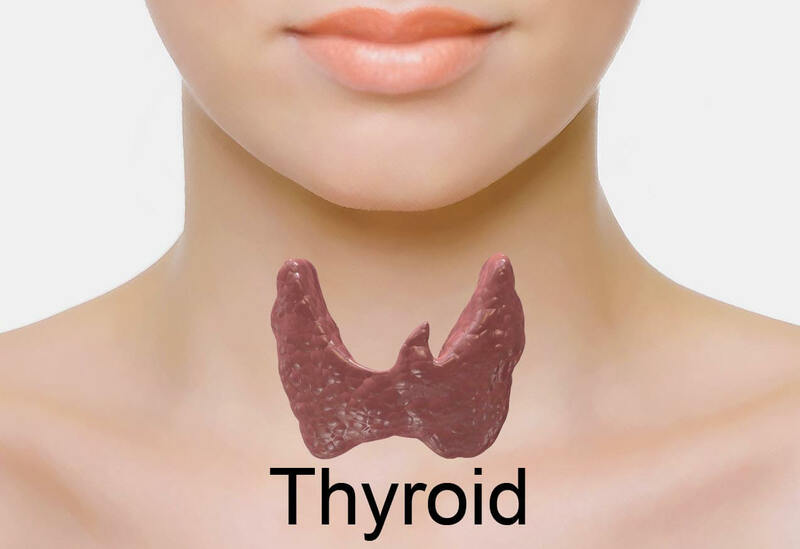 The thyroid gland produces T3 and T4 in response to the body’s communication about their need through a hormone called Thyroid Stimulating Hormone (TSH). Once secreted, T3 and T4 act on almost every cell in our body (not using hyperbole or the literary term for exaggeration) to impact metabolism. In that sense, calcitonin just focuses on calcium and phosphate levels in the blood. Hypo means less whereas hyper means more (even in medical terms!!). If there are less circulating levels of thyroid hormones due to any reason, then the body processes slow down tremendously. This skews the energy balance (amount of food eaten – calories/energy generated and the amount of energy or calories expended). With a mention of calories, all of you would have known what I am hinting at. Hypothyroidism is the condition for weight gain due to thyroid. Having said that, there are a lot of other factors that impact weight gain (physical activity, food intake, environmental chemicals). The other side of the coin or thyroid problem is hyperthyroidism. Here, the problem is an overactive thyroid gland leading to increased metabolism. So how does the body cope up with this? By expending more calories. Weight loss is imminent if the person with hyperthyroidism doesn’t eat enough calories. Reiteration: Many physiological factors control weight gain or weight loss. Problems with thyroid just happen to one among them. Low fat, low in sugar should be the rule. Keep an eye out for hidden sugar and hidden fats in processed, ready-to-eat products. Do you know, calcium in the diet can interfere with thyroid medications? Hence, it is advisable to consume thyroid medications first thing in the morning. You must wait for 20 – 30 minutes before you eat anything for better absorption of thyroid medications and to avoid food interference. Similarly, you can consume calcium medications 4 hours after taking thyroid medication. When to consume thyroid medication for maximum action? Take thyroid medications first thing in the morning. You can then consume food 20-30 minutes after the thyroid meds. Similarly, calcium supplements interfere with thyroid medications. So consume them 4 hours after thyroid medications. Similarly, vegetables belonging to the cabbage family (called Brassica) are known to have goitrogens. However, cooking them has shown to reduce their quantities. For more clarification on the same, read this blog to know the Thyroid Diet food list. Physical activity is much recommended for everyone, irrespective of thyroid status. Recommendations state 30 mins of physical activity every day. Simple exercises for thyroid problems. Unnikrishnan AG, Kalra S, Sahay RK et al. Prevalence of hypothyroidism in adults: An epidemiological study in eight cities of India. Indian Journal of Endocrinology and Metabolism. 2013;17(4):647-652.